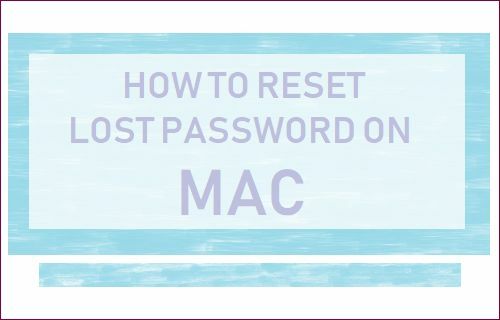 You can find below the steps to Reset Password on Mac, in case you have forgotten your Admin User Account password or do not know the password for any other User Account on Mac. Forgetting the password of a User Account on Mac can be frustrating as you won’t be able to Login to your Mac. Similarly, you won’t be able to make changes on Mac, if you forget the Admin User Account Password. Fortunately, it is possible to Reset Password on Mac and we are providing below three different ways to do so. 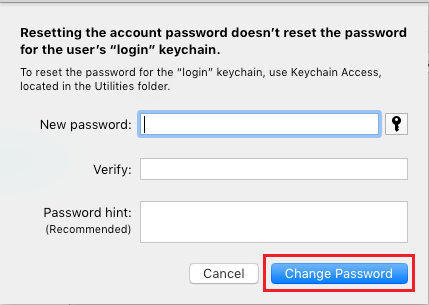 This method is suitable in case you have access to your Admin Account and want to Reset a Password for one of your User Accounts on Mac. 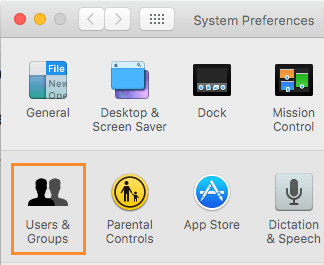 On the Users & Groups screen, click on the User Account for which you want to Reset Password and click on Reset Password button in the right-pane. Now, you can Logout of your Admin Account and Login to the User Account using the New Password. In case you have forgotten your Admin Account Password, your best chance of recovering the password would be to boot your Mac in Recovery mode and use the terminal to Reset Admin Password on Mac. Restart or Start your Mac by using its Power button and immediately press COMMAND + R keys on the keyboard of your Mac, as soon as you hear the boot chime sound. Once your Mac starts in Recovery mode, click on the Utilities tab in the top menu bar and click on Terminal in the drop-down menu. On the Terminal screen, type resetpassword and press the Return Key. On the Password Reset screen, select the Admin Account that requires a Password Reset and click on Next. On the next screen, type New Password, Confirm the New Password, set up a password hint (recommended) and click on Save. Now, Reboot your Mac by clicking on the Restart option and login to your Mac using your New Password. This method of recovering lost Password on Mac works only if your Apple ID is linked to the User Account on Mac. Also, this option does not work if FileVault protection is enabled on your Mac. Start your Mac and try to enter an incorrect Password multiple times at the Login screen. You will see a message reading “If you forgot your password, you can reset it using your Apple ID”. Click on the Arrow button and follow the onscreen prompts to Reset Password on Mac.